We’re so excited to be at the start of a brand-new holiday season at Club MAC Alcudia. We specialise in family holidays and over the last three decades we’ve honed our kids’ clubs, activities and entertainment to perfection! 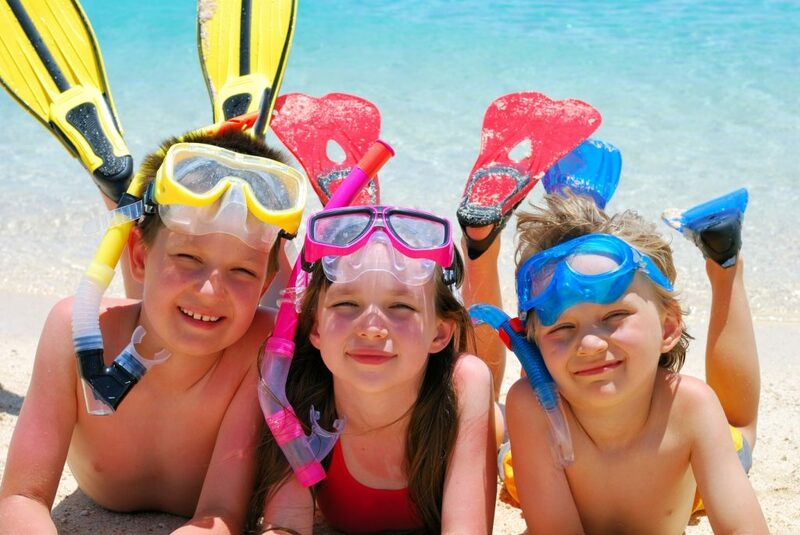 Kids love Club MAC Alcudia, and we’ve worked hard to understand what they like to do on their holidays. When the kids are happy, everybody’s happy, and that’s what we’re looking for at Club MAC. Here are five reasons kids love coming to Club MAC Alcudia on holiday. There are so many places to swim! Our site covers 100,000 sq metres and we have three buildings (Jupiter, Marte and Saturno). You’ll find all the food, fun and fantastic facilities in the buildings but for kids who want to enjoy their outdoor time on holiday, we have it all. Marte and river pool: next to the Marte building, it has a separate low area for kids, and plenty of shade at certain times of the day. Saturno pools: the biggest pool is ideal for parents and the adjoining smaller pool for kids. Perfect! Jupiter pools: three pools for adults and kids with three sun canopies for shade. Dragon pool: safe splash pool ideal for younger kids. Complete with sunbeds, a water fountain and it’s non-smoking. The lake: OK, so you can’t swim, but kids can enjoy pedaloes or a ride on a mini electric boat. All designed for little kids in mind, there are loads of supervised activities for four to 8 year olds (we do need an adult along for the fun too). They can be a princess for the day, with full makeover, parade and mini disco; they can join the costume parade, picnic with Alice in Wonderland, learn about reptiles or have their face painted as anything they like. Or they can play water games at the Marte pool, have fun at Superhero day or try a trick at the Wizards and witches’ day. We have another programme of fun for nine to 12-year-olds. We have a great team of young people to help them have as much fun as possible. They can go to dances by the pool, play water games at the Saturno pool, play darts, table tennis or water polo. And if that’s not enough they can also take part in the regular football competition, play shuffleboard, compete against our entertainment teams in a sports and games competition or have fun with our experiment workshop. During high season (July and August), we also run special activities for 13 to 17 year olds. With a higher level of skill and instruction needed, teenagers can hang out, make new friends and test their archery or carabine shooting skills, play basketball in the water, have a go at water polo in the Jupiter pool or play football with other guests on our sand court. We know that most kids are happiest when they have some access to online entertainments, whether that’s video games or a film in the evening. At Club MAC Alcudia, you can use any of our reception-based PCs or you have the option of high speed Wi-Fi for a small extra charge. Giving teenagers and younger kids access to gaming, streaming and calling their friends could be just what they need when they’re exhausted after outdoor fun. High-speed WiFi is already included in family suites and premium rooms but is bookable for standard rooms. You can also find free Wi-Fi in the ground floor areas of each building. We look forward to welcoming you and your kids to Club MAC this summer, it’ll be a blast.